When the Next Pandemic Strikes, Who Will We Trust? 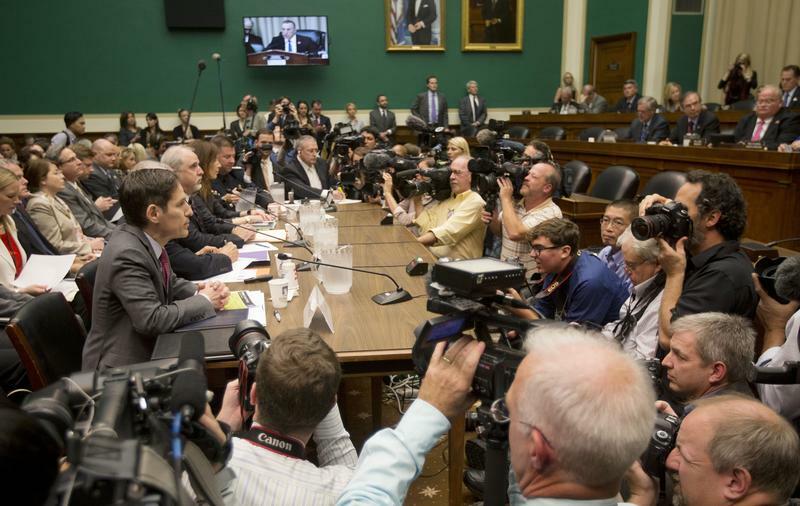 Centers for Disease Control and Prevention (CDC) Director Dr. Tom Frieden, left, prepares to testify on Capitol Hill in Washington, Thursday, Oct. 16, 2014. AMANDA ARONCZYK: This is On the Media, I'm Amanda Aronczyk. BOB GARFIELD: And I'm Bob Garfield. Another flu season is upon us, another set of reminders to get your vaccination and, once again, another season of public complacency. FEMALE CORRESPONDENT: I want to ask you guys if you've had the flu shot this year? MALE CORRESPONDENT: Ah, not yet. MALE CORRESPONDENT: Nah, I just didn't get it. I'll going to get it. FEMALE CORRESPONDENT: How about you, flu shot? MALE CORRESPONDENT: I don't think I've gotten it, no. BOB GARFIELD: It is one of the paradoxes of pathogenesis. The public that can be terrified can also be impassive. One minute in a panic, the next in denial. Why the lack of urgency? The answer, may reside in a 2017 study by the Pew Research Center on Public Trust for various institutions of society. It found that 55 percent of Americans hold a lot of trust in information from medical scientists. But conversely, of course, that's 45 percent who do not have a lot of trust. Moreover, the percentage with a lot of trust in medical information from the pharmaceutical industry is 13 percent, the news media 8 percent, elected officials 6 percent. These results paralleled other surveys revealing plummeting levels of faith in American institutions in general. BOB GARFIELD: These are problematic findings under any circumstances but in the face of the next pandemic, what might the public be told, what might it believe or disbelieve, to make matters worse. Well, at least one expert says, 'don't panic about that.' Professor Dominique Brossard chairs the Department of Life Sciences Communication at the University of Wisconsin-Madison. She researches public perception and messaging over infectious disease outbreaks. And she says that when push comes to shove, we do manage to act correctly based on sources we do trust. Her research is built on an analysis tool called SARF. DOMINIQUE BROSSARD: Social amplification of risk framework. What media tells us about what's happening society is, what most likely, we will rely on to form an attitude combined with our background, our knowledge of the issue and so on. So you have the real crisis event, which is the pathogen, and then you will have what we called amplification stations. Media will report with headlines that are sensational, that exaggerate the risk concern or downplay the risk. We talked to colleagues, we talked to our family, all those amplifications station that may distort what the media had said. So when we think about public opinion, we do remember that all those amplifications stations are all around us in our social context, telling us the stories about risk and how we should feel about them. BOB GARFIELD: All right. Let's start with H1N1, a variant of the virus that caused the 1918 pandemic. In 2009, the World Health Organization declared a pandemic for that year's version of H1N1. What did the messaging look like in 2009? DOMINIQUE BROSSARD: Americans were following very closely what was going on. But the news report covering the swine flu outbreak and yet the availability of a vaccine made the Americans confident that the government was able to handle the outbreak. And that's partly due to the fact that there was a distribution of antiviral drugs and that there was a development of vaccine in the making that contributed to this. BOB GARFIELD: They didn't worry much. The CDC's got our backs, we're good, But--. BOB GARFIELD: --then the numbers of cases and the numbers of deaths began to take off, what happened then? DOMINIQUE BROSSARD: By the end of the last reported poll around that time, only 51 percent of people had similar levels of confidence from the beginning. So, yes indeed, public confidence can change depending of how the a agency handles the disease or the potential outbreaks. BOB GARFIELD: All right, that's H1N1. As we've heard earlier in the show, very different narrative for Ebola. The CDC, in many respects, hit it right on the nose. That Ebola, while highly contagious with personal contact, you know, you're not going to get it because somebody sneezes and therefore it's not likely to create any kind of widespread outbreak. What could the CDC have done differently? DOMINIQUE BROSSARD: In crisis communication, we always say whoever's has the floor and send their message, will win the messaging battle. The problem is the CDC was absent until later on. I think the CDC could have been more active in issuing some press releases to the media. You know, updates on what’s, what’s going on overseas. It's kind of strange though because it's not the mandate. They're supposed to keep the American public safe. Although, in international media we're seen extensive coverage of Ebola crisis. We're not seeing it in the American reporting because nobody was feeding it to them. There was, what we called, an episodic coverage in media that was related to events, right? So when the Ebola case happened in United States, that gave plenty of food for reporters to write stories. But not in what we call a thematic way. Not talking about the disease, preparing the American public understanding what, what that disease is about. What were the paper of contagious factors and so on. So I think it was the was the sudden arrival and the short time frame that made the CDC more vulnerable when they could have prepared beforehand to potentially handle the crisis. BOB GARFIELD: You take heart in 2016, the Zika outbreak. A mosquito borne disease, and another ghastly one, which seemed to be moving northward from Latin America like killer bees or migrant caravans to invade our placid republic. In this case, unlike H1N1, as the days and weeks passed confidence in authorities grew. Why? DOMINIQUE BROSSARD: Indeed. Confidence in the CDC and other organizations that are supposed to make us safe can come back when the agencies handle a crisis very well. If you look at media coverage of the Zika pandemic at the end of 2015, already there was some reporting what was going on in Brazil was this discussed. The different that type of research that was going on was also reported. So I think in the Zika context, people were following very closely what was going on. The CDC messaging was much more consistent and was much more spread than on Ebola context and this all contributed in increasing confidence from the American public. We saw that some news organizations in Florida actually did a good job doing what we call in communication, thematic reporting. Not just focusing on events based but giving some background that will tell the readers what exactly is going on. BOB GARFIELD: Yeah, we call it context. DOMINIQUE BROSSARD: That's a good way to do it. BOB GARFIELD: Then that is sometimes absent. BOB GARFIELD: So far, we've been discussing infectious disease. I want to turn for a moment to the flip side of that, the subject of vaccines. We are, and have been for the past five years or so, in the midst of hysteria resulting in measurably bad public health outcomes–I'm speaking of the anti-vax movement. What has this done to the trust equation in all matters of infectious disease? DOMINIQUE BROSSARD: What is clear is that the first mistake that we're making is just assuming that concerns of some people are not valid. When you have a mother that's concerned about vaccines, well concern is a concern. We cannot say that the concern is not valid. We can say, they may not be scientific evidence to support it but I hear you. We know by research that people won't change their attitude just based on the facts. We need to appeal to another type of dimensions. As you, a journalist, you will bring a human interest angle to your story. You're going to put the face on these, you know, sick child. How can we use narratives to tell the stories that would persuade people to listen to science since that we know they don't list to just a statistic and scientific facts. BOB GARFIELD: Well, and to be fair, Big Pharma has a lot to answer for–fudged research, suppressed research, illegal marketing. Which brings up the question, faced with a 1918 scale pandemic, were pharma and the government able to develop and manufacture a vaccine quickly, do you have confidence that enough of the public would be confident to take its medicine to prevent catastrophe? DOMINIQUE BROSSARD: I mean, you saw what happened with all the recalled lettuce in supermarkets recently, right. DOMINIQUE BROSSARD: Right. And you know what the American public did, they all throw out the lettuce. They all actually make sure they were not eating that. BOB GARFIELD: So you're saying remember the romaine. DOMINIQUE BROSSARD: Exactly. Remember the romaine. BOB GARFIELD: All right. Dominique, many thanks. BOB GARFIELD: But Dominique Brossard is the chair of the Department of Life Sciences Communication at the University of Wisconsin-Madison. What Professor Brossard has to say is encouraging I suppose. Remember the romaine is a pretty good slogan and we didn't all get poisoned by E. coli. But it cannot be the last word, partly because lost trust, It's not all about rhetoric. The public has seen what it has seen. It has watched the government lie over Vietnam and Iraq. And watched the media credulously pass on those lies. It's watched public health officials botch the supposed killer flu of 1976 and the Ebola outbreak of 2014. It has watched Big Pharma Rush bad drugs and devices to markets–sometimes on the basis of fudged or cherry picked scientific data. It has watched researchers bribed by industry and medical journals print research ghostwritten by drug companies. Is there a trust gap? Of course there's a trust gap. And where the flu is concerned, the untrusting, don't know the half of it. Scientists may be quick to identify new strains and design vaccines accordingly, but if we must inoculate 330 million Americans, much less the whole world, author Laurie Garrett tells us the infrastructure is unequal to the task. LAURIE GARRETT: There are only a handful of vaccine manufacturers on the planet. They're, of course, concentrated in North America and Europe. We still can't even begin to make a billion doses of vaccine in a timely manner. In fact, we barely can make 500 million doses and we have more than 7 billion homosapiens. BOB GARFIELD: Which means of course, choices will have to be made–triage on a grand scale. Based on what? Garrett says, 'you know exactly what.'. LAURIE GARRETT: The answer is, you know, if you're on that continent, screw you. If you're on this continent, OK get in line. You're in the rich world, you get first access. BOB GARFIELD: That's the neverending story. In an increasingly nationalistic world, one hostile to so many categories of powerlessness, what she describes is patho-genocide. LAURIE GARRETT: As populism rises, the social order is breaking down. It's getting harder and harder to have a sense of solidarity in the face of a microbial threat. And harder and harder to have a sense of shared sacrifice, shared needs, shared threat. And we're in this really sickening situation now, where the conspiracy, if you will, of profit motive and populism is imperiling all our health. And I don't have a solution for that. BOB GARFIELD: These are the stakes. If we are considering risk and behavior in the midst of contagion, it's not just the nature of the next pathogen, it's also the nature of the society in which it spreads. As we gird for the next onslaught, whenever that may come, we must also contend with the plague of suspicion buried deep within ourselves. BOB GARFIELD: That's it for this week's show. 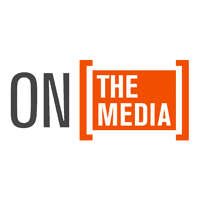 On the Media is produced by Alana Casanova-Burgess, Micah Loewinger, Leah Feder and Asthaa Chaturvedi. But this week's show was produced by my co-host Amanda Aronczyk with help from Allison Light. We had more help from Samantha Maldonado. Our technical director is Jennifer Munson. Our engineers this week were Sam Bair and Josh Han. Katya Rogers is our executive producer. Jim Schachter is WNYC vice president for news. Bassist composer Ben Allison wrote our theme. On the Media a production of WNYC Studios. AMANDA ARONCZYK: This week's show is part of Germ City, a series produced by the WNYC newsroom and a collaboration with the Museum of the city of New York and New York Academy of Medicine. Visit WNYC.org/Germ city for more stories. BOB GARFIELD: Thanks to you Amanda. AMANDA ARONCZYK: Thank you Bob. BOB GARFIELD: Brooke Gladstone will be back next week. I'm Bob Garfield. FEMALE CORRESPONDENT: On the Media is supported by the Ford Foundation the John S. and James L. Knight Foundation and the listeners of WNYC Radio.